Burnout Isn't Fun. Discover How To Finally Overcome It By Working Smarter, Not Harder! What are you constantly tired and struggling to sleep? It does NOT have to be this way! Getting into the habit of working day in and day out is easy. Getting out of it isn't. Burning out is a real risk, and one that can be detrimental to not only your physical health but also your mental well-being. The value of this book is not just in the advice you will discover on how to combat a burn out, but in the knowledge about how to prevent it, what you can learn from it and why it occurs. Knowledge is power, and this book's gonna give you a lot of power! Sometimes it might seem like the only way you can get yourself out of your situation is to work. But that's like trying to dig yourself out of a hole if you're already overworking. 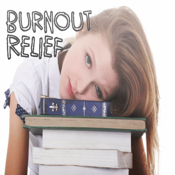 Burn out is often cause by this perpetual cycle that is self controlled. Believe it or not, you have the power to break the cycle. All you need is a little help. That's why I'm here. Just like I said before, knowledge is power. You'll learn in this book that it's crucial that you dedicate time to the RIGHT activities. This is one of them! Why? Because it gives you value, WILL improve your life and is an accountable use of your precious time. 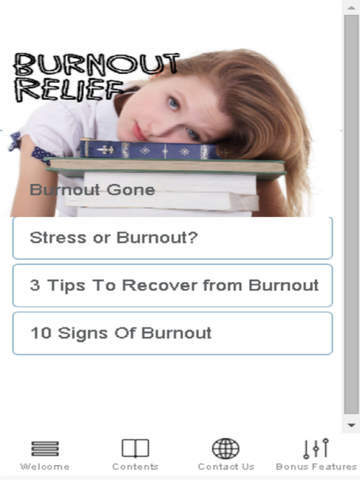 - How You Can Spot Burn Out In Advance! - Train Your Brain: Develop Good Habits and Remove the Bad!